Since the Women's Center opened its doors, 25 years ago, creating intentional space for mother's at UMBC has always been important. A lactation room has been a part of our earliest history, long before lactation room policies became a typical practice in higher education and other work-place environments. In addition to having a private intentional space for moms to express milk, the Women's Center has offered mother's support groups and online community spaces for moms and parents to come together and support each other. The lactation room has often served as a point of entry for moms to access other Women's Center services so even after they no longer need to use the lactation room, they still have a community connection to the Women's Center. Last year, the lactation room was used 507 times. The space is particularly useful to graduate students and post-doctoral employees who do not have access to their own private offices. As a female staff member who has to share an office with two male counterparts the lactation room is an amazing place to go as a breastfeeding mother of twins. In previous work places I have had to use bathrooms or pump in my car. Having a quiet, clean space where I feel comfortable makes it much easier to pump and know my babies will have what they need even when I can't be there. Everyone has been so welcoming and accommodating to my schedule. They make sure there is always space, even if they give up their office for you for 20 minutes. Returning to school as an adult is challenging to begin with. Returning to school as a new mom to, not one, but two girls both under the age of two, has provided a different sort of challenge! The access to the lactation room at UMBC has proven to be, without a doubt, my saving grace....Not only is the environment conducive for a productive pumping session, the staff and members of the Womens Center add to the appeal of the lactation room with the support and the accessibility of the accommodations. Both of my girls are/were exclusively breast fed. I was anxious about finding accommodations to pump while I was attending school full time and was worried that I would not be able to access a private space. I randomly came across a flier that was advertising the lactation room in the Womens Center to all mothers on campus. I went to go check it out and was greeted with an extremely warm reception and information about the lactation room, how to get on the schedule, and even how I could access the room when the center itself was closed. 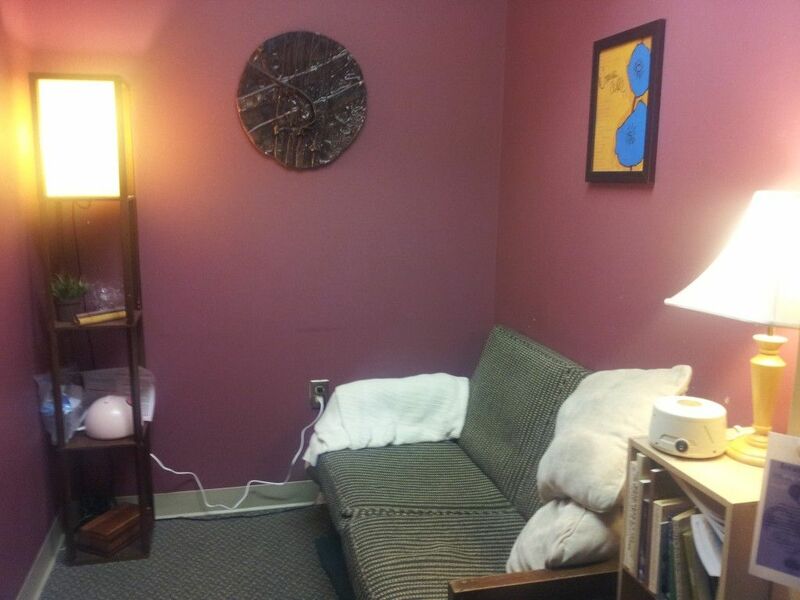 The lactation room has provided me a safe, clean, and supportive place to continue my breastfeeding journey. Not only has the lactation room been an important part of my return to school, the relationships and friendships that I have fostered through the Womens Center have made a significantly positive difference in my college experience.